Brockton Pavilion Clubhouse - Home of the Evergreens! You will not find a more spectacular location to enjoy rugby in all of North America than our very own Brockton Oval Rugby Field and Brockton Pavilion!! Right in the heart of Stanley park, the Brockton Cricket & Rugby Pavilion at Brockton Oval is in the best location in Vancouver. 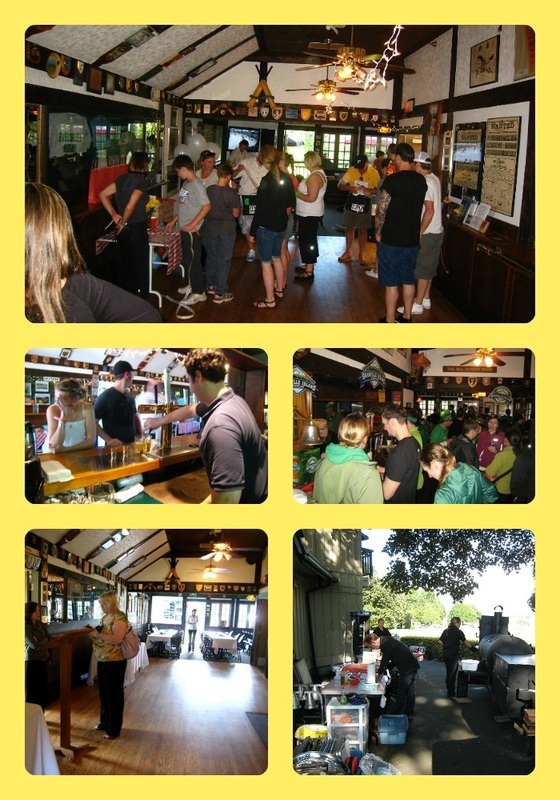 Operated as a private facility, the pavilion has always been home to The Evergreens Rugby Club, The BC Mainland Cricket League and The Vancouver Rugby Union. The impressive Tudor style lounge & bar is where we meet for drinks and socializing after having a game of touch rugby on Wednesday evenings and of course after home games on Sundays throughout the rugby season. Take in the great views of the cricket and rugby pitches, north shore mountains and the inner harbour and skyline of downtown Vancouver. Check out the BC Rugby Hall of Fame on the main floor. Come and enjoy over 100 years of our sporting history memorabilia. It's the best rugby bar in the city of Vancouver!! Brockton Oval Clubhouse is also available for limited public rentals, call 604.681.0640 or email info@brocktonpavilion.ca for more information.